We drove down to Santa Fe this past week to take part in the Santa Fe Century, but we knew we wouldn’t be able to do the full 100 miles because we just have not had good riding weather through April and May for adequate training. Santa Fe was doing its usual windy May thing, so we got going around 6 AM to avoid to worst of the wind later in the day. Sure enough, every hour we were on the road the wind got worse . . . . and worse . . . .
OTOH, we were done by 1030 AM, and boy was that breakfast at Zia Diner just the perfect post-ride meal! 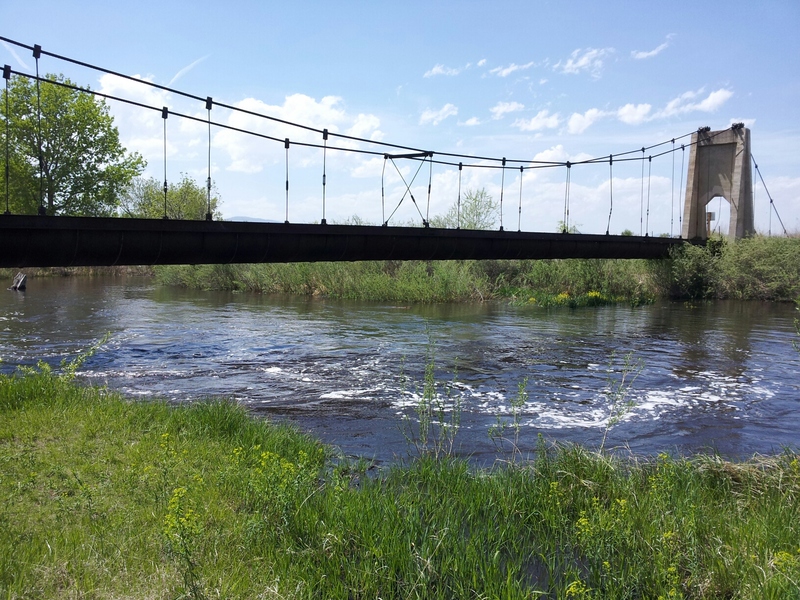 Back home, the Poudre River is flowing!! Me: I like your soon-to-be AP English teacher! The Teenager (looking very suspicious): Why? Me: Now think about it. Why would I like any of your teachers? The Teenager: Because they’re mean?